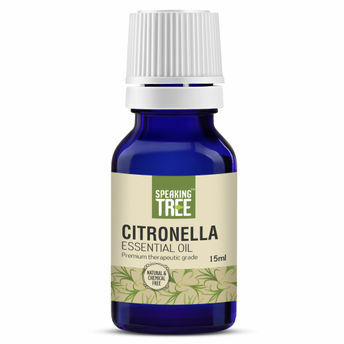 Speaking Tree Citronella Essential Oil is a 100% pure, natural, steam distilled and therapeutic oil is a natural stress buster and muscle relaxant. It is commonly used to control emotions and relax your mind in aromatherapy. Alternatively, you can also find many more products from the Speaking Tree Citronella Essential Oil range.